Anyone seen any funny ones? KERI phone specially designed for Gungho's Princess Punt. There’s no doubt that the Internet of Everything will have profound implications for all of the world’s industries. However, the vast majority of these industries are located on land, leaving the two-thirds of the Earth covered in water with minimal Internet connectivity. With that, no greater opportunity exists to “connect the unconnected” than in the geographic area that has largely been untapped: the world’s bodies of water. ...with the ultimate goal of creating one giant Wi-Fi network – the more connected fish, the stronger the Wi-Fi signal becomes. 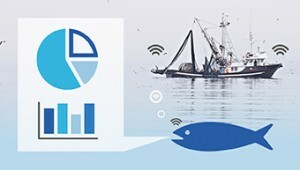 Additional Internet of Fish services planned include: Ethernet Enabled Loadbalancing (EEL), Collaboration on Demand (COD), and TelePresence Utilizing Native Access (TUNA). Can't wait! This is what I did for April Fools on nation, it was a bit last minute. Did any of you guys pull anything yourselves?